Residents, businesses and community groups have just under two weeks to have their say on the borough’s future plans. The council has held a series of local events seeking people’s views on a new Local Plan, which sets out the council’s proposals to manage development of the borough and how it will assess planning applications for the area over the next twenty years. The events were well attended and lots of comments were made, and now the council is urging any residents who were unable to attend the events to view the plan online and leave comments by the deadline of Tuesday April 2. 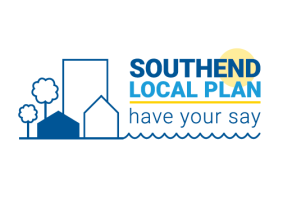 Cllr John Lamb, Leader of Southend-on-Sea Borough Council, said: “The public events proved very popular and we welcomed all the comments and suggestions that were put forward, however with just under two weeks left of the consultation, I urge all residents to have their say. “Meeting our housing target and securing the necessary infrastructure improvements is an issue that we face, however we are hopeful that we can address this, and also contribute to the growth of Southend as a place to work, live and enjoy. To achieve this, we need the views of local residents and businesses across the borough. The draft Local Plan can be viewed and commented upon by visiting the Local Plan website until 2 April 2019.